James Karl & Associates assists clients in the establishment and maintenance of business entities, including sole proprietorship, general and limited partnerships, limited liability companies and corporations. The firm provide counsel and documents in connection with standard and complex transactions and negotiations, including contracts, employment issues, compliance, mergers and acquisitions. A civil action is a lawsuit brought by one party or parties against others to recover money (damages) or other remedies (equitable relief). Civil litigation normally involves disputes of private law between individuals, businesses, or non-profit organizations. Civil litigations can involve public law issues. James Karl & Associates addresses a full array of estate planning needs to assist clients in accomplishing a smooth distribution of assets to future generations. The firm prepare and implement wills, trusts, advance medical directives and designations and durable family powers of attorney. The firm files probate actions in Florida, New York, Connecticut and Massachusetts and assist clients through the probate process ensuring compliance with notice and other substantive and procedural rules. The firm also provides estate and trust administration services. 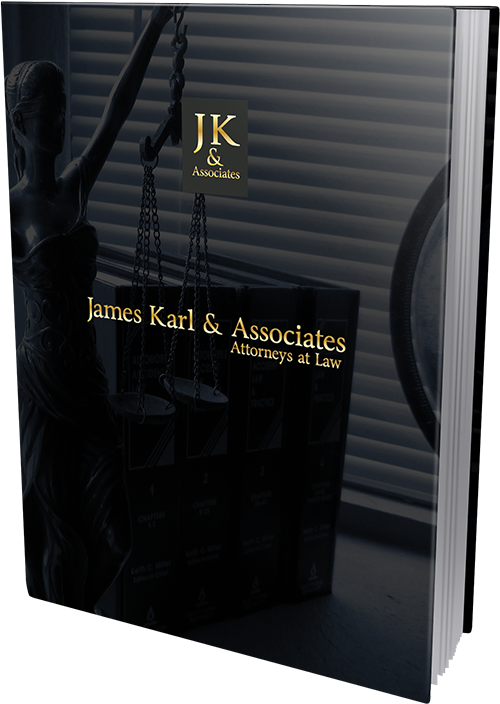 James Karl & Associates formed in 1989 to provide quality legal services to clients in New York, Massachusetts, and Connecticut. The firm also opened South Florida offices in 1989 and began servicing Florida clients in state and federal legal matters in the following practice areas: Litigation, Estate Planning, Probate and Trust Administration, Real Estate, Business Law, and Personal Injury. The firm provides each client competent and aggressive legal representation across a broad spectrum of practice areas. The firm practice includes federal law as well as the laws of Florida, New York, Connecticut, and Massassachusetts. The firm’s legal team utilizes experience and an expansive array of legal resources to provide our clients with cutting edge legal options which account for emerging trends in the law. James Karl & Associates’ mission is to provide the high standard legal service efficiently in support of each client’s particular goals. The firm offers flexible fee arrangements based upon particular cases and client needs. Fees may be based upon hourly, flat fee, or contingency fee arrangments depending on the type of matter involved. 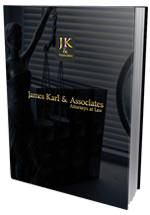 Clients of James Karl & Associates share the broad experience and legal resources that its members and staff provide. Each client receives personal, prompt, and well informed representation. The legal team is accessible anytime by phone and email to confidentially discuss your legal needs.